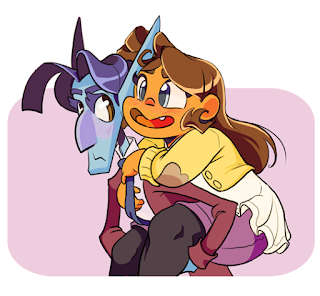 If you've read our past updates, you know Yesenia and I are hard at work on an upcoming promo comic and getting ready to start drawing The Great Barley and Bay-Lily Circus, our first official web comic story arc. The short promo comic will be released online November 20th. We're excited to share our first steps of our project with you all. Meanwhile, Starting November 30th we will work to build a queue of comics for Barley and Bay-Lily until an undetermined time in 2016 when we want to release the comic online. We plan to do about 4-6 panels (roughly 1 page) of comics every two weeks. We thank you all for your patience and support! We love hearing from you, so don't be shy to drop us an e-mail, a tumblr note, or a facebook comment.